Here it is, our very first songbook. Please download it and join us at 2pm on June 30th in Ossett Town Centre for our first Ukulele Massive Jam Session and Singalong. 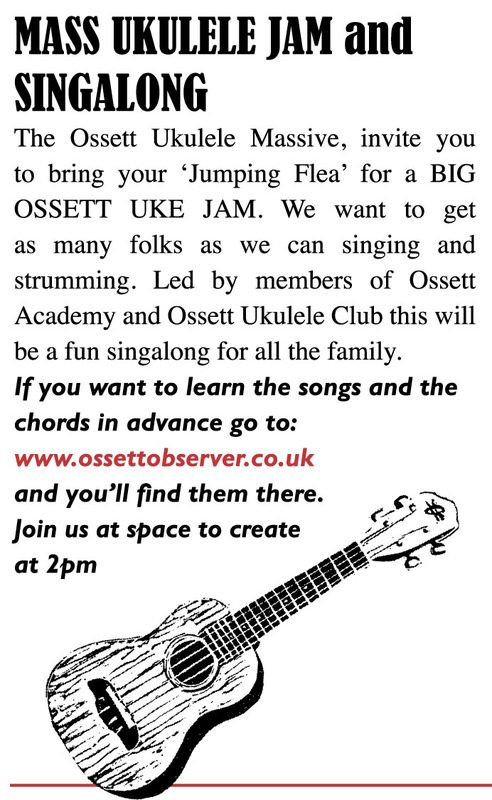 The Uke Jam will be part of our Flock To Ossett day of celebrations and we hope you will join us with your Jumping Flea for a sing around these joyful ditties. Prev: From An Ossett Original. Next: In Praise of Flock To Ossett, Sheep and John Cooper Clarke. Hi Carol. To download the songbook, simply open the PDF and click print in your browser. I’ve emailed you a copy anyway, just in case. Hope you will join us next weekend.